We hear that we need to think about SEO but what the heck is it? 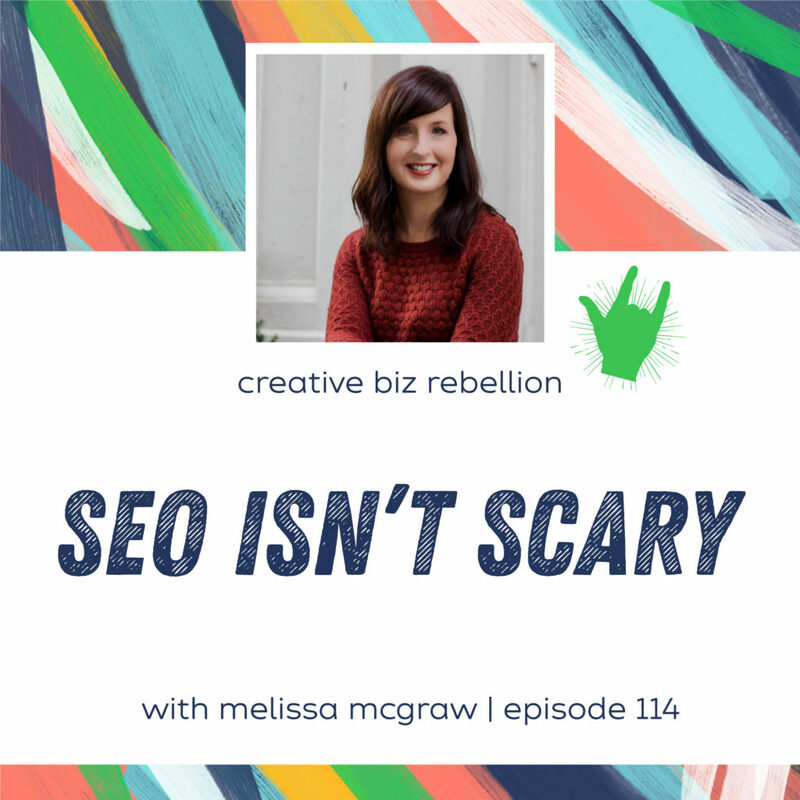 Today we have Melissa McGraw from the Creative Potential on the show to walk us through what SEO is, why it’s important to us and how to use it. This episode is full of information and tips so be sure to take notes! So you’ve created this amazing, life-improving product or service, and now you need to bring in the eyeballs (and credit card digits) to actually BUY IT. Well, Melissa McGraw is the SEO wizard that is bringing all of her big-brand experience (Amazon) to help creative entrepreneurs and small business owners boost their online presence and get the traffic their website deserves.